The 13a Permanent Resident Visa. In the opinion of Gary Wigle and myself, along with other American expats, this visa is the cheapest, most hassle-free visa a person who intends to retire and live in the Philippines can obtain. Of course, your spouse has to be Filipino in order to sponsor you for it, but once you have the 13a, living in the Philippines becomes that much easier. Only have to get your ACR, Alien Certificate Registration Card, renewed every five years instead of annually and don’t have to leave the country once a year and come back. Only need to make my annual report as a foreigner at the local BI office in Iloilo City which costs P310. Now when my spouse sponsored me for my 13a Permanent Resident Visa, there was a requirement for proof of income to show financial capacity. I had bank statements and other financial statements, but no one asked for it. It’s my understanding that the police clearance was only required before if you applied for your 13a visa outside of the Philippines, which I did not do. We went to the main office in Intramuros, Manila. Here’s information on the additional police clearance requirement. a. 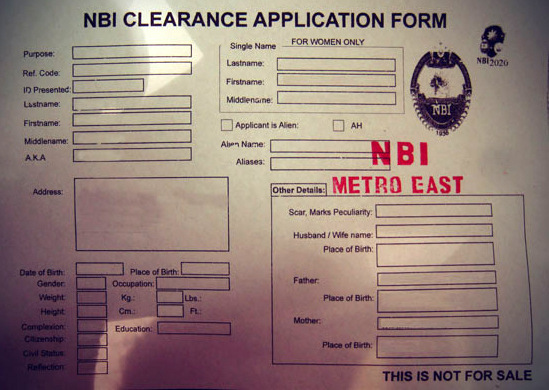 If the applicant has been in the Philippines for less than six (6) months, he shall attach to his application a Police Clearance from his country of origin or residence duly authenticated by the Philippine Embassy/Consulate at the place of issuance or nearest to it, with English translation, if written in another foreign language. From the Philippine Bureau of Immigration website, here are the other present requirements. signed by both petitioner and applicant and notarized. b. they are financially capable of supporting each other. Land titles, contract of employment, pensions, etc. must be submitted. barangay and that they continue to live together as husband and wife. Probationary one (1) year period. Now some expats I know would rather leave the Philippines every year and “avail” of the Balikbayan Privilege. My wife and I did that when we first entered this archipelago in July 2009, but have found it much cheaper and easier to take advantage of the 13a Permanent Resident Visa. Don’t have to worrying about leaving the country at a certain time. Here’s the current schedule of fees from the Philippine Bureau of Immigration website. Keep in mind that obtaining the 13a Permanent Visa is a two step process. Probationary status for approximately one year. Conversion, or amendment of the visa is the next and final step. It took my wife and I four separate trips to Immigration in Intramuros to obtain the conversion of my temporary 13a. That was done in May 2011. We stayed with my wife’s sister and brother-in-law during that time instead of making multiple trips back to Iloilo. Thanks, Gary. Glad I got mine, too. Didn’t know that about the 100,000 peso requirement. As I stated in the article, I had all of my financial statements ready to show the Immigration officer back in 2011. Bank statement, IRA, my wife’s title to her property in Guimaras, but no one asked for one thing. So I didn’t offer. I agree. The BI had to do something. I’ve read too many reports of abusive expats, also. One case of abuse is one case too many in my books. Granted, the costs to get all the paperwork processed there is a small fraction of what USCIS charges here to bring a fiancée here. But I don’t really understand why either govt. has to make it so complicated in the first place. When its all said and done, who actually ever reads any of the info that is provided to them in the first place, I kinda wander if anyone does, or is it just a way to make money for the govts. I keep reading that the PI govt. is trying to overcome corruption there, yet to me, in my small mind, them offering “express line” service to those willing or able to pay extra for it, is also a form of corruption, similar to bribing which is supposedly illegal there also, and yes, I will pay for it when the time comes. As I, still living about 11,000 miles away have discovered, that about the only way to get almost ANYTHING accomplished there in a timely matter, is to offer a few thousand Pesos to the right person and things go fast and smoothly, and magic acts, that Houdini would even admire ( David Blane might anyway) of papers lost or missing, that suddenly appear out of nowhere. I have wandered though, to the locals that cant afford such services, do the same problems occur as much for them as they seam to for foreigners. Have read where you have gone through similar things also, suppose almost all foreigners do. Am just hoping I can learn quickly to go with the flow, and try not to let it bother me, cause I too am approaching the old geezer age and don’t want to let those kind of things ruin my day once I get there in a few more years. Bill S, in the 2013 Ease of Doing Business Report, the Philippines ranked 138th out of 185 nations ranked. In 2012, the PH ranked 136th. The amount of red tape involved in building our CR back in 2009 was astounding. Our contractor/architect handled all of that for us. He absolutely refused to pay any fixer’s to expedite the process. He did, however, have to pay P1,000 to Guimelco, the power company in Guimaras where we lived, in order to get a transformer hooked up that was needed for welding equipment for the new roof. Delay after delay, excuse after excuse from Guimelco officials. The roof project was delayed for over a month until magically, the P1,000 note was passed and the installer came out the next day to hook it up. To further rub salt in the wound, the installer was one of my wife’s legion of relatives on the island. That’s life in the Philippines. The amount of corruption is staggering. Don’t believe all the hype about the so-called fight against corruption going on. It just isn’t happening. Look at what’s going on with the Philippine Department of Labor offices all across the Mid East and the exploitation of their own OFWs. From the Inquirer:”The testimonies of three women who claimed they were abused by a Filipino labor officer in Saudi Arabia bolstered allegations of ‘institutionalized’ sexual exploitation of distressed migrant workers in Philippine embassies in the Middle East, Foreign Secretary Albert del Rosario said Monday. Graft and corruption charges are going to be filed against those found guilty. How about some extreme jail time for those found guilty? I suspect that most of those involved will just get a slap on the wrist. My own sister-in-law works as a domestic helper in Kuwait, one of the main offices said to be involved in this sordid affair. That said, Bill, I really do enjoy living in the Philippines. One has to deal with reality here. And that reality is that getting things done quickly, or even at all, sometimes involves fixers. Foreigners and locals are both victims. I don’t ever see it coming to an end. So, if I read this correctly a 13a five year renewal should cost about $200? Still have three years left on my current ACR. I take it you are basing your $200 figure on the Permanent Resident fees I posted from the BI website? That’s something I might check out next time I make my Annual Report as a Foreigner. To my understanding, the ACR is the only thing we need renewed, the 13a visa itself is permanent. Anybody out there with a 13a Permanent Visa with an ACR card that has been renewed after the five years? I’m glad you posted this article. I will have to get a police clearance here in Florida before heading to Ohio end of this week. Can get it authenticated in the Philippine consulate in Chicago. Good idea to get it before you leave and have it authenticated, PapaDuck. I’ve found the officials at the Chicago office to be very helpful and friendly. Good luck. Now that the house is almost finished applying for the 13a is the next step, I will let you all know how easy (or hard) 🙂 it is. Good to hear from you scott h. I’m curious to see how the work on the house has gone. Hope your 13a process goes smooth. It took us four trips to the main office in Manila before we got everything we needed, but it’s worth it in the long run. I still need to make a stop at BI when I land in the Phils, but got my 13A without leaving my chair here in Colorado. The police clearance was available by mail from the State Patrol, the visa was obtained through the mail from the Phil. consulate in San Francisco. I mailed in the required paperwork plus the $150 fee, exchanged a couple of phone calls with a nice lady at the consulate, and in two weeks received my passport back with the visa. Now, compare that with the time, expense, and hassle most of us experienced with the INS getting our fiancees here to the good ol’ U.S. of A! Sound great, Ice Man! Good for you. I know of several guys that have applied for their 13a in the States. I remember checking out that option when Melinda and I were at the Philippine Consulate Office in Chicago to get her Philippine passport renewed. I decided to go for the balikbayan privilege to enter the PH, which worked out, and then go to the “gates of Hell” in Manila, the Intramuros BI Office, for the 13a. Keep us posted. Sounds like things are working out for you. Good luck and take care. I suppose we have plenty of time to figure that one out Dave. I hope you’re right and it’s only the ACR that has to be redone. That’s like the “easy” button. Rease, everything I’ve read regarding the 13a Permanent Visa points toward the ACR only being renewed. Aside from making our annual report as a foreigner at our local office and plunking down P310, I believe that once we’ve been approved and granted permanent resident status, we’re good to go. Yeah, Steve, you’re right on that one. Btw, here’s something I noticed regarding permanent residents in the PH from the BI Website: There are more than 200,000 foreigners with resident visas in the country, the Bureau of Immigration (BI) said. 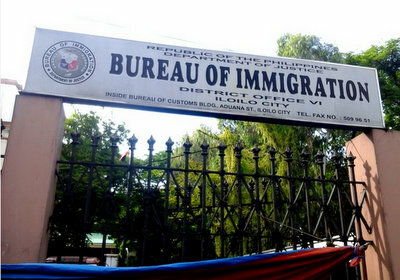 Immigration Commissioner Ricardo David Jr. disclosed that as of Dec. 31, 2012 the number of aliens registered with the BI totaled 203,753 which is six-percent more than the 194,356 aliens listed as of Dec. 31, 2011. Hi Dave: Thank you for a most informative article. I’ll have to avail for the 13A permanent visa for my spouse, after I retire from the U.S. Your article is very helpful. You’re welcome, Roselyn. It’s strictly a matter of personal preference, but to me, obtaining the permanent resident visa is the way to go. Don’t have to hassle with going out of the country every year. Only the ACR Card has to be renewed every five years. The BI just wants an updated photo. The visa itself is good for life and doesn’t have to be renewed. As long as a person stays out of trouble, it is, indeed, a permanent visa. I had actually suggested that to her a couple times, she thought I was serious, and was trying to get her arrested before she ever got here, didn’t go over well at all, and I paid with it for the next few days with a lot of ggggrrrrrhhhh’s from her (growls on YM) before finally convincing her I really was joking. We have had other misunderstandings from trying to type everything on YM, so I have to be careful with what I say and how I say it, and we talk a lot more on the phone also now days. Just wish we could get skpye or the magicjack to work, but we are rarely successful on that. Did you have any luck with video calls on Yahoo? I ask because with one Filipina I chatted with, we could never get Skype to work, but for some reason the Yahoo video calls worked halfway decent. I hear you on the misunderstandings. I always have to remind myself that American humor and sarcasm often don’t go over well. Thanks for the info, Jay. Be interesting to see if any readers out there that have recently been granted the 13a have had any problems with this police requirement. Yeah, we have tried video chat on Yahoo Messenger, and Google also, but with pretty much the same results as Skype. I have a 4G signal here, but I kinda think the problem may be hers, possibly, cause she’s in Tago, Surigao del Sur on Mindanao, and her signal is not the greatest at times it appears. I agree with you on the humor, she usually gets it, but sometimes not so much, especially if its being typed. I remember one time I said “shame on you” in a totally innocent way I thought, but soon after saying that, I thought world war 3 was about to start. Some things we say here, are totally taken in a different context there, and am sure its only a matter of time before I put my foot in mouth again, but its all part of the learning process I guess. Sorry Dave, hope you wont mind us chatting back and forth on here. Chat away, Bill S. I took the day off yesterday and didn’t respond to any remarks. Been working on my new book. I don’t care if anyone gets off topic. Most of the regulars here know that certain language is not allowed and personal attacks aren’t tolerated. I usually get a good connection with my magicJack when I talk to my Dad in Vegas. I don’t have a cam, nor does my Dad. We’re old school. I have SmartBro for my service provider. You might like this one Dave… Number of years ago I finally got my wife to the USA on a fiance VISA. Our house faced a seasonal pond, never any boats on it or anything. Then one day there’s a canoe on the pond, probably a neighbor playing with their Christmas present. Well, I was starting to think the communication problems were a problem that just we were having, but sounds as though most have had similar types of them also. We don’t seem to have the problem near as much when we are talking on the phone as compared to YM, but phone is expensive to do daily so we YM a lot. I sent her a magic jack back in march, after I got back home so I could get her a local US number, but its never worked, I can hear fine, but she cant hear a word I say, her brother hooked it up, and is an engineer, so I assume its hooked-up right, but sure do wish it would work. So, we have a new book to look foreword to in the future. Maybe, my topic, MISUNDERSTANDINGS, WHAT NOT TO SAY OR DO WHILE IN THE PHILIPPINES, might make a good book. I could fill up half a book with just my screw-ups alone am sure. Just send my royalty check to me after its written though. Not to worry, I will always keep it clean on here, I know its a family friendly site. Rease, that was a good one for sure! I don’t worry about you guys, Bill S. I have a great group of folks that take time out from their busy days to check out the site. I sincerely appreciate it. Yep, don’t want to get into too much detail about the new book, Bill, but you’ve got a good topic there. Misunderstandings between spouses, whether they be Filipina or not, is a universal issue, right? 🙄 I hope to have the book finished by the end of July. I’ll be rolling it out in paperback form on Amazon and will have a downloadable version available on the website. Of course I have to take time out for an upcoming special tour I’ll be doing with my American expat friend, The Tom Cat, over in Guimaras. More on that very soon. PapaDuck hooked up his fiance over in the Philippines with a magicJack and we’ve been able to communicate with her in the Philippines. As long as you have a high speed connection and a decent carrier, it should work OK. I had problems with my magicJack when I first hooked it up in the States. I followed the magicJack troubleshooting guide and was able to fix my problems with it. But there’s a key word there: “decent carrier.” I have a expat friend that uses Globe and has had nothing but problems with them. I’ve had SmartBro for over three years and have a good signal. Ray Barone: Shouldn’t you be yelling at me, or something? Have some questions to you or any of your readers about the 13a permanent visa ACR card renewable in 5 yrs, if you get divorce is the visa be revoke? I know of some guys living here Gary that were divorced (they weren’t married in the PH of course) but their Filipina wives didn’t report the divorce to BI. One guy I met has been divorced over 25 years and still living in the Philippines with his 13a. My poor wife is stuck with me as we got married here but a guy can get kicked out of “paradise,” even if he does have a 13a or not. Hello. I Applied for my husband’s 13a visa in LA before we move in Philippines. His Visa is only valid for 1 year. When I got the visa and saw that it is only for 1 year I thought that it is provisionary visa and still need to to be renew. When we applied for his ACR the card status is permanent and valid for 5 years. My question is do I still have to renew his Visa when it expires? Juliet, I obtained my 13a visa while in the Philippines, sponsored by my Filipina wife. That visa was probationary for one year before it was converted to the permanent 13a. I personally do not have any experience with the 13a obtained in the States. If any of my readers have any insight on this, please weigh in. Thanks. The ACr-I card needs to be renewed, not the visa. I agree, Stephen, thanks. The ACR-I has to be renewed every five years and not the 13a visa which is permanent, unless someone screws up very badly and gets it revoked. But I was puzzled why Juliet’s husband did not have to have a probationary one year 13a which is converted to the permanent after another year. But since I obtained my 13a while in the Philippines, perhaps the process is different now? 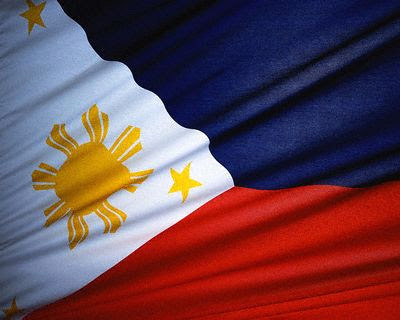 13(a) Visa done from overseas Philippine embassy is permanent right from the beginning. I did mine from Philippine embassy in New Zealand. I had to submit medical tests, police clearance, marriage certificates everything to the Philippine embassy in New Zealand. It took only 1 day and 230 NZ$ approx the entire fee. They gave me a brown package containing a letter from the Philippine embassy in NZ and told me to hand this to airport upon arrival in Philippines. My passport had a sticker that said "immigrant visa", it had 1 year validity which means, 1 year to enter the country and "activate it". After I reached Manila airport, I handed over the package to the officer, he opened it, and it contained my medical records, and a letter from the consulate saying, "13(a) visa granted". The officer told me, to go to the quarantine department within 10 days and then to the BI with the qurantine certificate. He stamped on my passport 13(a). I cleared the quarantine later after 1 week, went to the BI office, and handed them over the quarantine certificate, they entered things into their computer, and told me to take ACR-I card. They also informed me, I don't have probationary , but permanent. All applications done from overseas is permanent. My acr I card came after 1 month, it said "13a permanent resident, permanent". Card is valid for 5 years. I am glad I did it from overseas, it was a relief. Thanks to my lovely wife and Philippines. Now we have recently started a small immigration firm in Cebu to assist other expats with multiple services and advice regarding 13(a) and SRRV visas etc. I been studying the entire process for nearly 10 years, boy it is a large maze, but with sound advice and clear instructions, it can be cleared through. 13a done from overseas is permanent right from the beginning, but the ones done from within Philippines is probationary for 1 year then permanent. Thanks, Stephen, appreciate the info. It is refreshing to read all of the personal experiences above. I wish, I knew (just about) all of the above before I started "my process". Our "experience" with the Immigration in the Philippines started nearly a year ago and getting a 13A visa is just as far out of reach today as it was on the first day. Indeed, it is a beaurocratic nightmare. We must have a (kind of) honest face because NO FIXER ever apprpoached us so far. Right now we are (I am) going for an extension of my BB privilidge, (or visa, if you want to call it that way). I keep reading your comments. I am not ready add any comments, for I have nothing new to add. It is all there, above. Thanks for all of you who are taking time to consider us (and warn us) "unsuspecting" victims. Hi, Bill. I was fortunate to have my spouse sponsor me for my 13a before the new stricter regulations, such as security clearance from your home country, kicked in. It took 4 separate visits to the main Immigration office in Intramuros, Manila, over a period of three weeks, to convert my probationary 13a to permanent status. I firmly believe that the office in Intramuros is the portal to hell, and I am being kind. We were approached by fixers galore during our first visit to Intramuros. Guess I don’t have an honest face. Must be my beard. I have heard good news from a fellow American expat that our local Immigration office in Iloilo has done a bit of a housekeeping. Good luck on your efforts. I know of some expats, Papa Duck, for one, who secured his 13a at the Philippine Consulate in Chicago, without much difficulty.I can personally attest to the fact that my visit to the Chicago office was an extremely pleasant experience as my wife had to renew her Philippine passport before we went to live in the Philippines about five years ago. An extremely friendly and helpful staff at that office.Thanks for your input and take care. Thanks for the kind words, Ron. Congratulations on your upcoming marriage and move to the Philippines. I think you’re making a very wise decision. Iloilo is a good place to live, as long as you get into an area that has water, yes, water, and a more reliable utility company than we had in Savannah Subdivison in Pavia. There’s a couple of guys on this website who can give you good advice on where to live. Your contractor’s experience should give you a head’s up in case you decide to build a new home. I plan to hire my brother-in-law to be the foreman when we start building our new home in November and I’m going to make sure we’ve got a good concrete-to-sand mix for the hollow blocks. We’ve had a few earthquakes here lately and we’ve already decided to build only a one story house. Good luck and take care. g) Resident foreign nationals and temporary or probationary resident visa holders employed or seeking employment in the Philippines. Here’s the LINK to that info. Be advised I am NOT an Immigration lawyer. Here’s a bulletin that the Philippine Bureau of Immigration issued in March 2014, Eunise: BI STOPS THE ISSUANCE OF TEMPORARY RESIDENT VISAS FOR FAMILY MEMBERS OF LAWFUL ALIEN RESIDENT. Here’s the LINK.